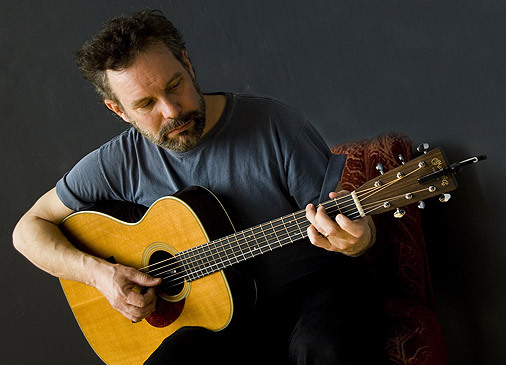 John Gorka, a nationally renowned folk musician (who has played on Austin City Limits), is coming to downtown Northfield, MN. Maybe he’d seen something about Music City, MN and wanted to hear for himself. At any rate, he’s kicking off the 411 Concert Series at the Arts Guild this Friday night. Friday, November 16th: Occasional Jazz and Fang Tango, 5:00 to 7:00 p.m., Contented Cow; Carl Franzen, 6:00 to 8:00 p.m., Hogan Brothers Acoustic Cafe; Peter Pan, 7:00 p.m., Northfield Middle School Auditorium; Friday Night Lights, 7:00 p.m., Dittman Center on the St. Olaf College campus; Marry Me a Little, 7:30 p.m., Kelsey Theater on the St. Olaf College campus; John Gorka, 7:30 p.m., Northfield Arts Guild Theater; Jeff Ray, 8:00 to 11:30 p.m., Tavern Lounge; Gather, 8:00 p.m., Dittman Center on the St. Olaf College campus; and Jazz I, 8:15 p.m., Lion’s Pause on the St. Olaf College campus. Saturday, November 17th: Peter Pan, 1:00 p.m., Northfield Middle School Auditorium; Julie Bloom, 6:00 to 8:00 p.m., Hogan Brothers Acoustic Cafe; Rich Prenier, 8:00 to 11:30 p.m., Tavern Lounge; The Zillionaires, 8:00 to 11:00 p.m., Upstairs Rueb’N’Stein; Marry Me a Little, 9:30 pm., Kelsey Theater on the St. Olaf College campus; and Dan Switch, 9:30 p.m., Froggy Bottoms. Sunday, November 18th: Jazz II and III, 4:30 p.m., Lion’s Pause on the St. Olaf College campus; Philharmonia Home Concert, 7:30 p.m., Boe Chapel on the St. Olaf College campus; and Quiz Night, 8:00 p.m., Contented Cow.